Upgrading your luxury yacht? AGS can help! AGS’ branch in Nice expertly conducted a recent specialised removal, entailing the transport of valuables and furniture from one luxury yacht in Imperia, Italy, to another in La Spezia. 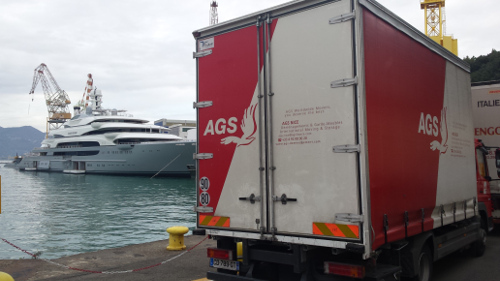 AGS Movers Nice expertly conducted a recent specialised removal, entailing the transport of valuables and furniture from one luxury yacht in Imperia, Italy, to another in La Spezia. 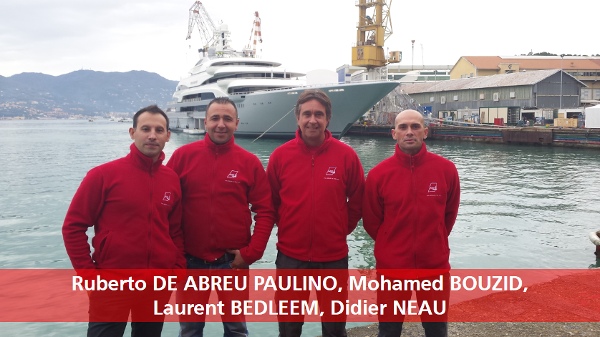 By rapidly responding to the client’s needs and putting forward innovative solutions, AGS Nice’s Branch Manager, Laurent Bedleem, and his team took on this challenge with professionalism and brought great satisfaction to both yachts’ owners. Following the sale of ‘Ocean Victory’ (76m long), her former owner acquired a brand new yacht of twice the length – (140m) – ‘Project Victory’. These state-of-the-art private leisure yachts are well-renowned internationally, with crews managed by Antibes-based Camper & Nicholson. To this day, Project Victory is reported to be the biggest yacht ever constructed in La Spezia. It is no coincidence that Project Victory’s new owner chose AGS for this operation: he made his decision based on the quality of AGS’ proffesional packing, value and the comprehensive set of solutions offered by AGS Nice. Chris Bentley (one of Ocean Victory’s captains) asked AGS to prepare a pre-move survey while the yacht was docked at the port of Monaco for a prominent yacht show. On September 29 the removal commenced, as goods from Ocean Victory were packed; loaded into AGS’ European Liftvans and transported to a bonded warehouse in La Spezia. By October 3, all goods were safely in secure storage. This operation concluded successfully on December 11 with a final delivery to the new yacht, Project Victory. AGS looks forward to similar removals of this nature, and – keeping with the nautical theme – we wish fair winds to both yachts and the whole team!